If you don’t have your podcast on spotify yet, then you’re missing out on a huge amount of potential new listeners. Despite being relatively new to the podcasting arena, the Spotify Podcasts section swiftly rose to second place behind iTunes/Apple Podcasts as the most popular place podcasts are consumed. According to Libsyn’s official podcast ‘The Feed’, they’re currently accounting for around a 7% slice of the ‘total podcast downloads everywhere’ pie. With around 140 million active subscribers using the app on a daily basis, it’s no real surprise that the music streaming giant has made so much gain in so little time. That isn’t its sole selling point though. Spotify’s podcast section presents a great answer to the age old question of “where do I listen on Android?” too. Many podcasters exclude half their potential audience by simply directing everyone to iTunes/Apple Podcasts. It’s good practice to list the most popular directories your show can be found on a ‘Subscribe’ page on your website. And if you can add your podcast to Spotify then you’re catering to the needs of many Spotify users who’d like to listen to your show. 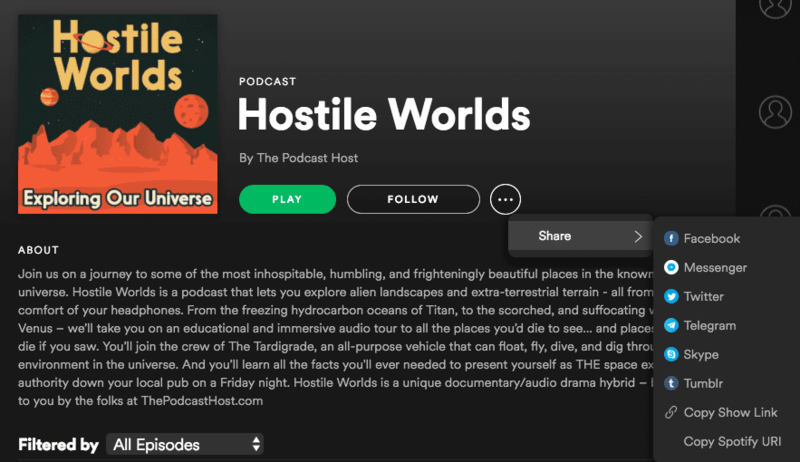 So if you want to get your podcast listed on Spotify, how do you go about it? Until recently, the only option for getting into Spotify was to submit through your media host. 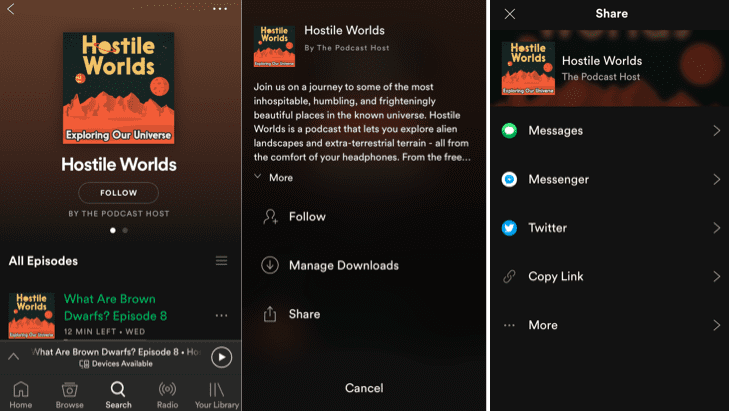 In October 2018 though, Spotify opened up their Spotify for Podcasters portal. This enables you to submit your show directly to them. All you need is a valid RSS feed, and a Spotify account. If you don’t have a Spotify account, you can submit your show through your media host instead. We have our top five recommended media hosting services here at The Podcast Host, and you can get into Spotify by using any one of them. Blubrry list some requirements for submitting to Spotify. Once you’ve confirmed that you meet all of them (you probably do), then it’s a simple case of entering your RSS feed, your home country, and choosing a category that best fits your show. Then you agree to some T&Cs, enter your name, click Submit, and it’s job done. Buzzsprout are the masters of media hosting simplicity. Inside your Buzzsprout account, you just need to click ‘iTunes & Directories’ then ‘Submit your podcast to Spotify’. Enter your show title, Buzzsprout account email, your show’s RSS feed, and confirm that your show doesn’t contain any copyrighted material. Then hit ‘Submit’ and away you go. Oh, and if you use our Buzzsprout link to sign up there, then you’ll get a $20 Amazon gift card if you stick around for at least 2 months! Log into your Libsyn account, and on the dashboard, click the ‘Destinations’ tab, then ‘Add New’ then beside Spotify hit ‘Edit’. A ‘Create New Destination’ form will then pop up. Select at least one category that best describes your show. Then enter a subtitle, summary, and author name. You can also set your primary language, and select whether or not your show is explicit. Once that’s done, enter your name and email, agree to the T&Cs, and hit ‘Save’. That’s your show submitted for review. Inside your Podbean account, go to your settings, then click ‘Social Share’. In there, you’ll find a ‘Connect to Spotify’ button. Agree to Spotify’s T&Cs, select the primary country of your podcast, and hit ‘Apply’! You need to be using a Pro Account on Spreaker to get into Spotify with them. Once signed up and/or signed in to Spreaker, go to their Distributing your Podcast on Spotify link. Once you hit ‘Click to Submit’ you’ll be redirected to a simple form following the same theme as the others. Enter your name, email, and the language of the podcast, then your show will be reviewed by the Spreaker team before being sent over to Spotify. There are a couple of relatively common sense rules here. Things that apply whether you’re on Spotify or not, really! 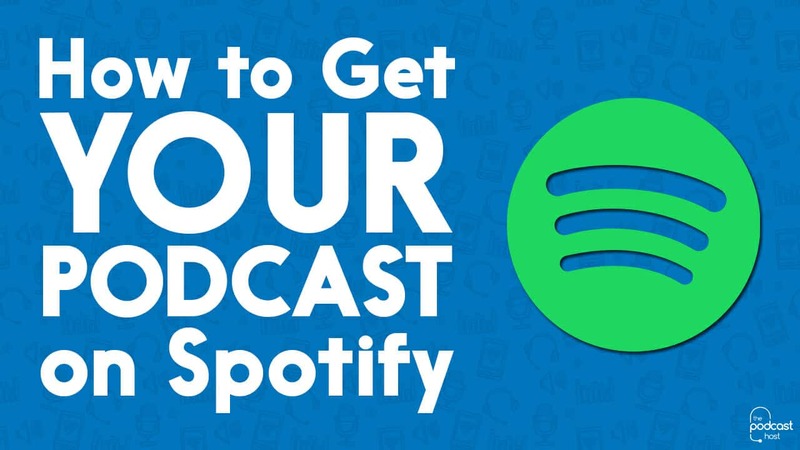 You must not have any copyrighted material in your podcast in order to be listed in Spotify. Any music used in any of your episodes must be podsafe. Don’t expect any contact to let you know when your podcast is on Spotify. You’ll just have to keep an eye on the Spotify podcast listings yourself. Once you’ve submitted, it usually takes between 2-5 days to show up. It’s good to see how it looks in there too, just to confirm everything is laid out as you want it. You can also grab the direct link to your spotify podcast listing once you’re in there. You can do this in both the Spotify desktop and mobile apps. To get your show’s link in the desktop app, click the little ‘more’ button (the circle with 3 dots in it) to the left of the ‘Play’ and ‘Follow’ buttons. Then click ‘Copy Show Link’. In the mobile app, the ‘more’ button is up in the very top-right corner of the screen. Again, it appears as 3 dots. Click it, then click ‘Share’, and then ‘Copy Link’. If you want to grow your audience, you’ve got to create the conditions for it to grow. Try to make your show available everywhere that podcasts can be consumed, and to let people decide for themselves where they want to listen and subscribe. And putting your podcast on Spotify gives yet another option for your listeners, thus making it incredibly easy for them, regardless of what tech they’re using. It’ll only take you a couple of minutes max to submit your show to Spotify, and the sooner you do that, the sooner you’ve vastly increased your potential audience. So make that a priority this week, that’s if you’re not already away to do it right now! If you fancy working with us directly for some tailored support, you might want to check out The Podcast Host Academy. That’s where you’ll get access to our community, live Q&A sessions, video courses, ebooks, and much more. 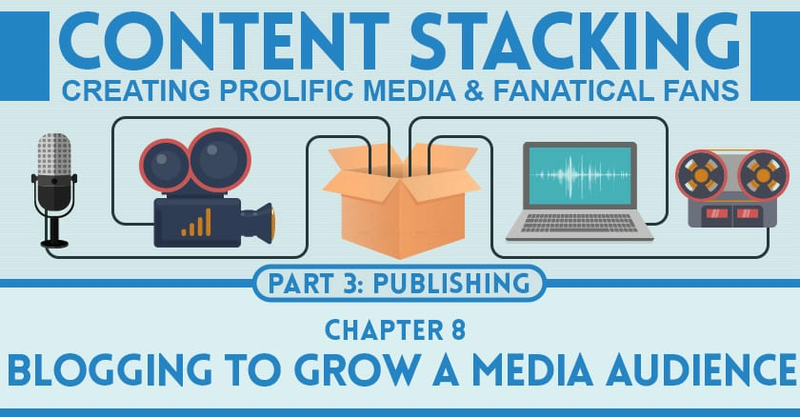 I’ve mentioned growing your audience a lot here, and that’s actually the purpose of our latest course too. It’s called 30 Days of Audience Growth. The course is definitely worth a look if you’re interested in boosting those download numbers, and putting measures in place that’ll help bring you steady and sustainable growth for years to come! A quick note re: Buzzsprout and the confirmation that the podcast “doesn’t contain any copyrighted material” – I can only presume that means material copyrighted by *someone else*? Since creators own the copyright to their own works, so the podcast itself is copyrighted from its creation – by the owner who is submitting it. Why do I need to go through a hosting company? I am an independent publisher, I host my own podcast I am not making money why do I need to pay? You’d need to reach out to Spotify and ask them Andrew. Because they’re new to podcast curation but are also a very busy platform they likely see this approach as more efficient, easier to maintain, and less likely for things to break. Do you need to pay to upload to Spotify? Podbean does not have spotify under the social share. I don’t see a Social Share button either….. If I have a podcast that plays movie clips, would that be considered copyrighted material that wouldn’t be allowed on Spotify? How do you manage it once your host has got you on Spotify? If I move host I’ll want to keep my Spotify listing. If your podcast is not hosted by one of the above providers, you ll need to submit your podcast to Spotify through their new Spotify for Podcasters dashboard.